Most picture factory automation as the realm of corporations and high tech Silicon Valley companies. However with today’s technologies real benefits are available at cost effective price points that do not require years to return an investment. Autonetics provides very user-friendly, turn key systems that install on the factory floor and are ready to work in less than one hour after setup. If you are considering automated parts for your line collaborating with our automation specialist and application architects saves you time and money. Discussing your manufacturing process, facility, product and goals is the first step. Our consultants evaluate your needs and provide sound advice to help you make the right decisions. Decrease Cycle Time – Automation is crucial for increasing efficiency. Staying Competitive – Reduction in schedule and cost attracts customers. Automation helps provide the highest throughput. Improved Quality and Reliability – Automation is precise and repeatable. It ensures the product is made with the same specifications and process every time. Better Utilization of Floor Space – Decreasing the foot print of an area with Automation means you can use it for other operations. Reduce Waste – By removing human error Automation reduces waste. 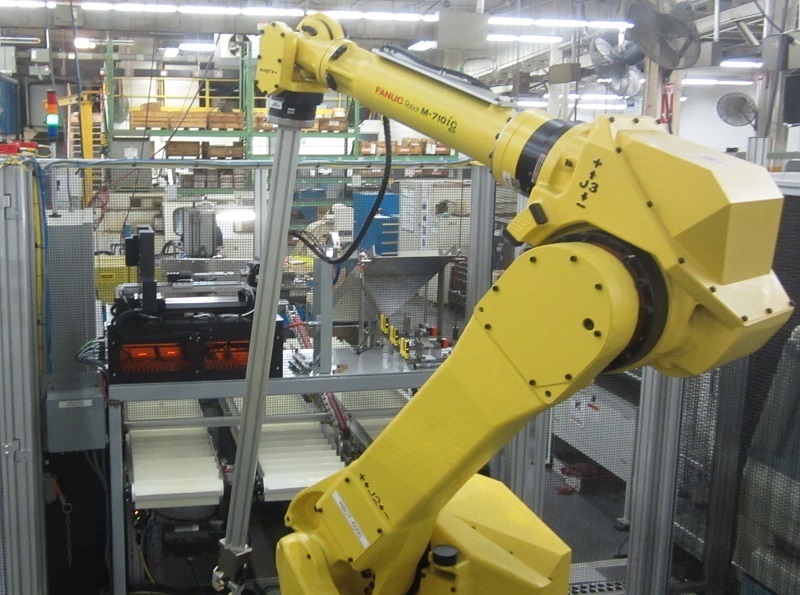 Reduce Production Cost – A quick return on investment in Automation outweighs the initial set up cost. Save Jobs – Many fear it but Automation promotes growth, it’s when the non-competitive company goes out of business when most jobs are lost. Let Autonetics provide strategic direction, planning and implementation for your industrial automation.